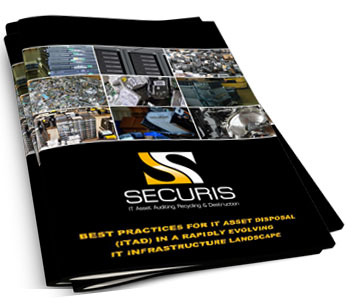 Securis provides a comprehensive list of end-to-end IT asset disposal services performed at our secure, access controlled facilities, including hard drive shredding, data destruction and e-waste recycling. 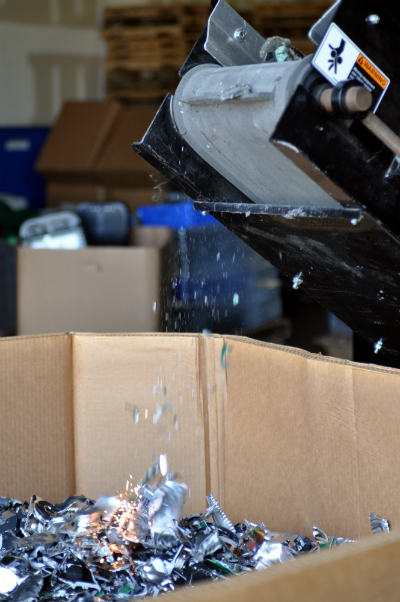 Recycling and data destruction plans can be tailored to each organization’s needs, using any or all of Securis’ certified processing techniques. Tag and inventory, based upon serial number, all electronics slated for destruction or recycling to establish a chain of custody. Record all serial numbers of processed and destroyed items for audit and accountability purposes. Load all materials to be securely transported in a Securis GPS-traceable truck. A client-approved, Zero Landfill recycling plan is then executed. A full inventory list is then provided to each client. A Certificate of Destruction, a nationally recognized legal document of performance, is signed by a Securis officer and provided to each client.